This year, in violation of clear constitutional and legal mandates, the State of Michigan has handed out permits allowing for the destruction of Michigan’s water and natural resources. In order to protect our water - which by law belongs to the people - FLOW has created model legislation to regain public control and to prevent recurring crises like Flint and Detroit and windfall profits for bottled water companies like Nestlé. The Great Lakes belong to all of us. And yet, state policy in Michigan allows private for-profit corporations to extract these waters and sell them for mammoth profits. This is not only inconsistent with public trust law, but a raw deal for the citizenry. At the same time that Nestlé is taking public water at virtually no cost and reaping windfall profits, thousands of Michigan citizens – both city dwellers and rural residents – do not have access to clean, safe and affordable water. Over 100,000 Detroit households have suffered water shutoffs and thousands of Flint children and residents suffered lead poisoning in the fourth year of an ongoing water crisis. 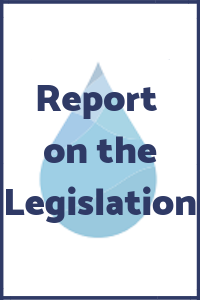 No current law addresses both the sale of water for profit and the protection of drinking water and public health with new infrastructure funds. Recoup for public purposes royalties derived from these bottled water sales. 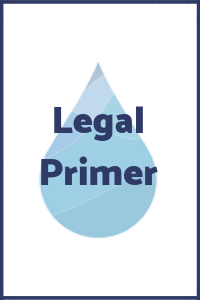 This model law places royalties into a public water, health and justice trust fund to serve people and communities for specific dedicated public purposes, such as replacing lead service lines or creating water affordability plans for disadvantaged people or cities and rural communities. "It is time to put water and health where they belong—paramount to all other interests of government or private sectors." Water is public & protected by the state. Everyone has the right to safe, clean, affordable, healthy water. 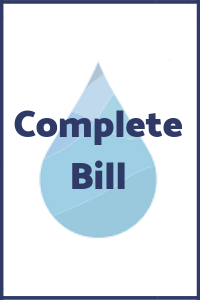 Private sale of water for profit is prohibited unless strictly licensed to avoid environmental harm to our waterways. Spring water removal is eliminated to protect our headwaters that feed our inland lakes and rivers. 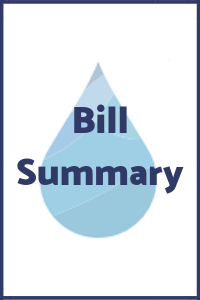 A royalty system will be created that reimburses the state for licensed and approved sale of water and establishes a Public Water, Health and Justice Fund. This Trust Fund will have a diverse representation in order to harness knowledge and collaborative impact from agencies, experts and communities across Michigan.